Recognized as one of the leading artists of the Renaissance period, Albrecht Dürer’s comprehensive work can be described as a breaking point through which printmaking transformed the categorization of the entire medium from craft to fine art. Often depicting highly religious subjects and topics, Dürer’s woodcuts and engravings presented the 16th-century viewer with unparalleled technical skill, unmatched tonal variation and compositional sophistication only a chosen few in art history were able to achieve. As an addition to his visual arts, Albrecht theorized and wrote extensively on the concepts of linear perspective and anatomical proportion, massively contributing to the advancement of fine painting during the time of the Renaissance and all later movements. 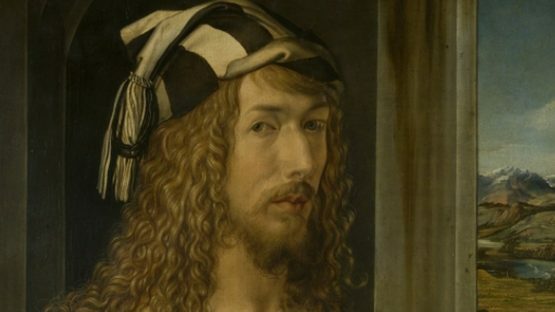 Thanks to his intellectual ability and technical skill, Dürer held the position of a court artist for Holy Roman Emperors Maximilian I and Charles V. It was through this role that Albrecht painted some of his most iconic pieces, including many of the famous self-portraits which are respected as his trademark artworks. Albrecht Dürer was born on May 21st, during the year of 1471, in Nuremberg, a city in northern Bavaria distinguishable by the phenomenal medieval architecture such as the fortifications and stone towers of its Altstadt (Old Town). Dürer’s family originally hailed from Hungary, Germanizing the primary family name of Thürer when they settled in the town of Nuremberg. This occurred somewhere after the middle of the 15th century. Dürer’s father, who was also called Albrecht, was a goldsmith by trade and served as an assistant to Hieronymus Helfer for most of his life. He had a total of eighteen children, of whom Albrecht was the second child. When young Dürer was at the age of fifteen, he was apprenticed to the principal painter of the town, Michael Wolgemut. Although Wolgemut was rather undistinguished by his contemporaries, his small artworks made in a late Gothic style were a great influence on his young apprentice. Whilst he had Michael as his tutor, Albrecht learned not only how prolific painting is done but also how to get the best results from wood carving and elementary copper engraving. 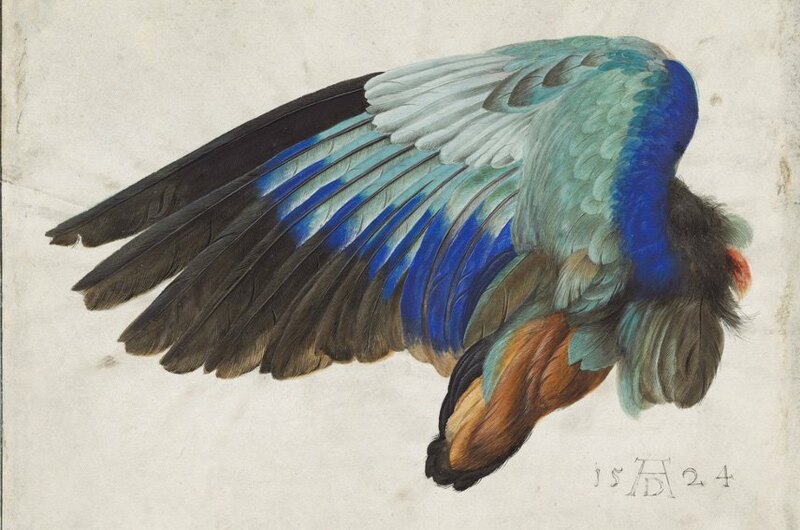 When his apprenticeship came to an end in 1490, Dürer started to travel around Europe. During the year of 1492, he arrived in Colmar with intentions to study under Martin Schöngauer, a well-regarded painter and engraver. Unfortunately, upon his arrival, Albrecht found out that Schöngauer had died the previous year. Luckily, the young artist was received kindly by the family of the deceased master who took him with them to Basel. Learning under the ex-apprentices and family members of Martin, Dürer evidently had some practice both in metal-engraving and in furnishing designs. The time Albrecht spent with various artists of this area will prove to be the pivotal moment of his career. He left Basel sometime during the year of 1494 and traveled briefly in the Low Countries before he returned to his hometown of Nuremberg, making a full circle. From this period on, little of the work suspected to be made by his hand can actually be attributed to him with full certainty. On the ninth of July in the year of 1494, Dürer was married to Agnes Frey, the daughter of a local merchant. This marriage is still shadowed in mystery to this day as not too many evidence concerning it exists, whilst there are a lot of speculations that the two did not get along too well. Sometime during the autumn of 1494, Albrecht traveled to Italy, leaving his wife at Nuremberg. He arrived in Venice and spent a few months meeting new colleagues and practicing his skill by following Italian concepts of producing artworks. 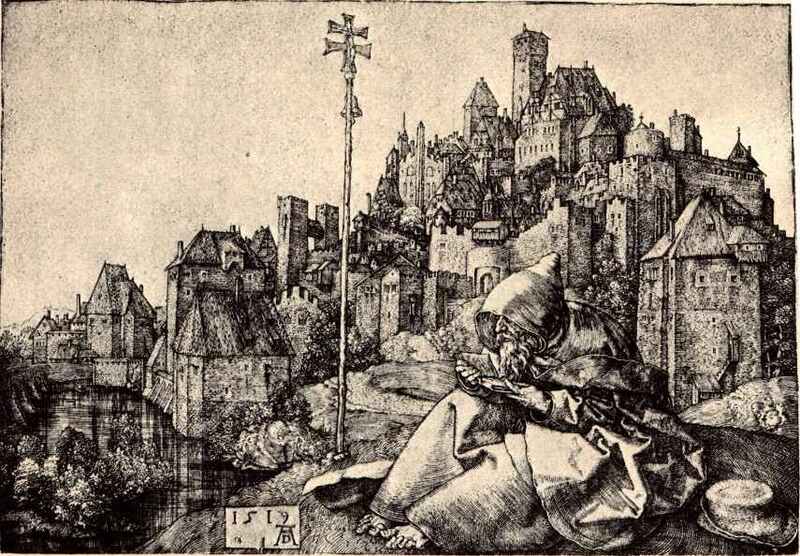 In 1495, Dürer returned to Nuremberg where he lived and worked for the next ten years of his life. These years are the time most art historians agree was the period when Dürer produced his most notable discovered prints. During the first few years since his return to Nuremberg, Albrecht worked in the established Germanic and northern art forms, but the influences from Venice were more than obvious. His best works in this period were woodblock pieces with which he depicted scenes of popular religious concepts. His famous series of sixteen great designs for the Apocalypse were first carved during the year of 1498. About seven years later, Dürer carved the first seventeen of a set illustrating the life of the Virgin. However, it should be noted that none of these pieces were promulgated till several years later as Albrecht preferred to work in privacy, isolated from the world as much as possible. 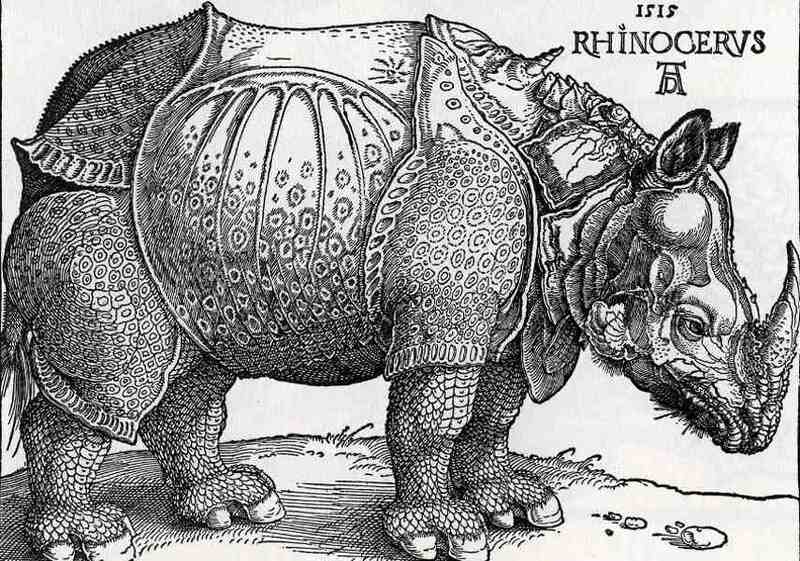 At the turn of the 16th century, Dürer’s engravings had attained great popularity and had even begun to be copied. This effectively reflected very well on the artist’s pocket. Around the year of 1505, Dürer made a second visit to Italy. Here he started to develop his painting skill and produced a fantastic series of works by tempera-painting on linen. These pieces were mostly depictions of portraits and altarpieces – most notably the Paumgartner altarpiece and the Adoration of the Magi. Attracted to the memory of this fabulous city, Albrecht returned yet again to Venice. He stayed there until the spring of 1507 and this period of his career was well documented by the legendary Vasari. In Venice, he was handed an estimable commission from the emigrant German community for the local church of St. Bartholomew. Although he was a German himself and the clients shared his nationality, Dürer painted the piece in a strong Italian style. The emigrant community was pleased regardless of the style and this huge mural was subsequently acquired by the Emperor Rudolf II and taken to Prague. Despite the high regard in which he was held by the Venetians, Dürer decided to go back to Nuremberg by mid-1507. He remained in Germany until the year of 1520. Meanwhile, his reputation spread all over Europe. In that time, Albrecht was on terms of friendship with all the masters of the age – even the legendary Raphael himself was honored when an opportunity to exchange the drawings with Dürer came his way. The years between Albrecht’s return from Venice and his famed trip to the Netherlands are commonly divided according to the type of work with which he was occupied. The first five years of this period (1507-1511) are commonly considered to be the painting years of his life during which Dürer worked with a vast number of preliminary drawings and studies. It was then that he produced what’s been accounted as his four best works in painting – Adam and Eve (1507), Virgin with the Iris (1508), the altarpiece the Assumption of the Virgin (1509), and the Adoration of the Trinity by all the Saints (1511). 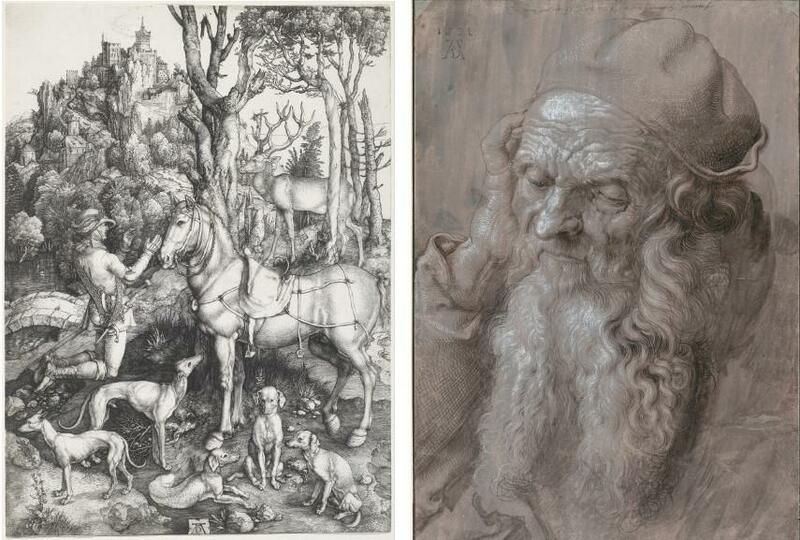 From 1511 to 1514, which is a time considered to be the second period before he went to the Netherlands, Dürer mostly concentrated on engraving, both on wood and copper kind. The major works he conceived in this period were the thirty-seven subjects of the Little Passion on wood. In the remaining years to 1520 he produced a wide range of works, experimenting and exploring the potentials of his various fields. Tempera on linen, engravings on many subjects, etching on plates of iron and zinc are only a few methods Albrecht utilized. Following the death of emperor Maximilian in 1520, Dürer wanted to secure new patronage. His decision to leave Nuremberg was also backed by the fact an outbreak of sickness occurred in the city. Together with his wife, the artist set his sails for the Netherlands in order to be present at the coronation of the new Emperor Charles V. Besides going to Aachen for the said coronation, he also made excursions to Cologne, Nijmegen, ‘s-Hertogenbosch, Brussels, Bruges, Ghent and to Zealand, making pieces of art along the way. He finally returned home to Nuremberg in July 1521, after he had caught an undetermined sickness which afflicted him for the rest of his life. It was in these last stages of his life that Dürer’s works became extremely religious, even more so than before. However, he did cease to make grand scale paintings which made him famous in the first place. This was due in part to his declining health which severely limited his physical ability, but also because he started to dedicate much more of his time to the preparation of his theoretical works on geometry, perspective, proportion and fortification. Not much of his books were published in his time, unfortunately – the largest publication was brought out shortly after Albrecht’s death in 1528. Although he managed to make a massive impact on his contemporary colleagues, Albrecht Dürer’s true fame and stardom came to be during the 18th and 19th century. During this time, writers such as Johann Wolfgang von Goethe simulated a reappraisal of Dürer’s work, arguing his importance to the general art history. The famous Brotherhood of St Luke, better known as the Nazarenes, was formed and its members aspired to the work of Albrecht, copying both his visuals and his techniques. In the 19th century, Romantic artists made works inspired by Dürer who by this stage, with the rise of German nationalism, had achieved an almost iconic status. And he has been regarded as one of Europe’s most important artists ever since. 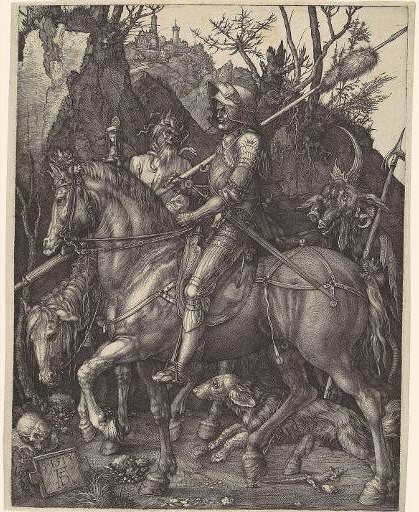 Nowadays, Albrecht Dürer is considered to be one of the most pivotal artists of the Rennacanse period, as well as arguably the most crucial author of pieces the Germany has ever seen. His contributions to the art techniques and theories are rivaled only by a chosen few, whilst the treatment Dürer’s work received during the last few centuries cemented his legacy for generations to come.